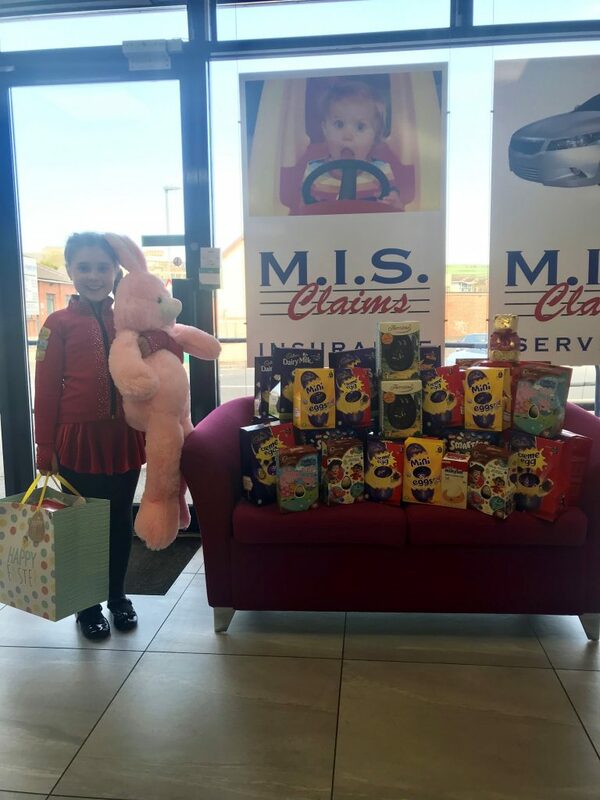 9 Year old Jasmine is HOPPING into the Easter Bunny’s shoes this year and collecting Easter Eggs for children in hospitals across Northern Ireland. 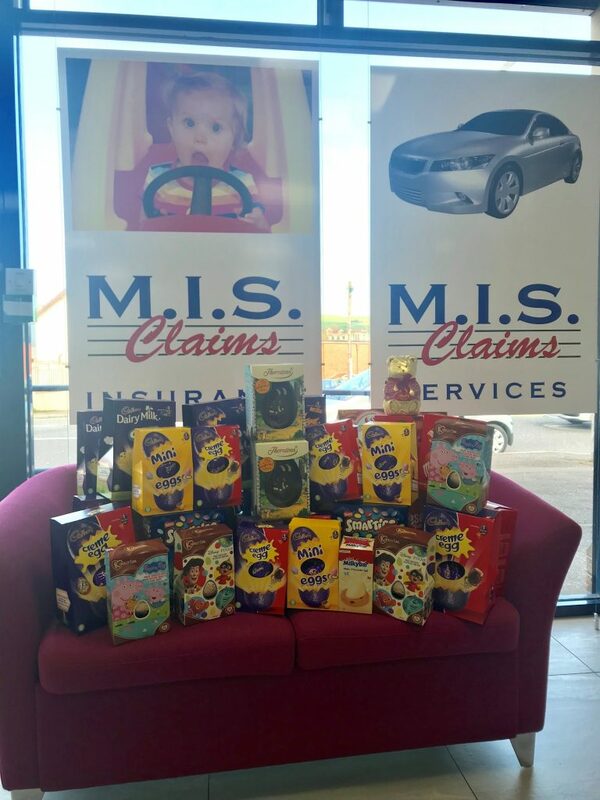 We were delighted to be a drop off point at our MIS Claims office for anyone in the Dundonald & surrounding areas. Jasmine popped in today to collect the Eggs that we managed to gather for her. The grand total for us was….40 eggs!! 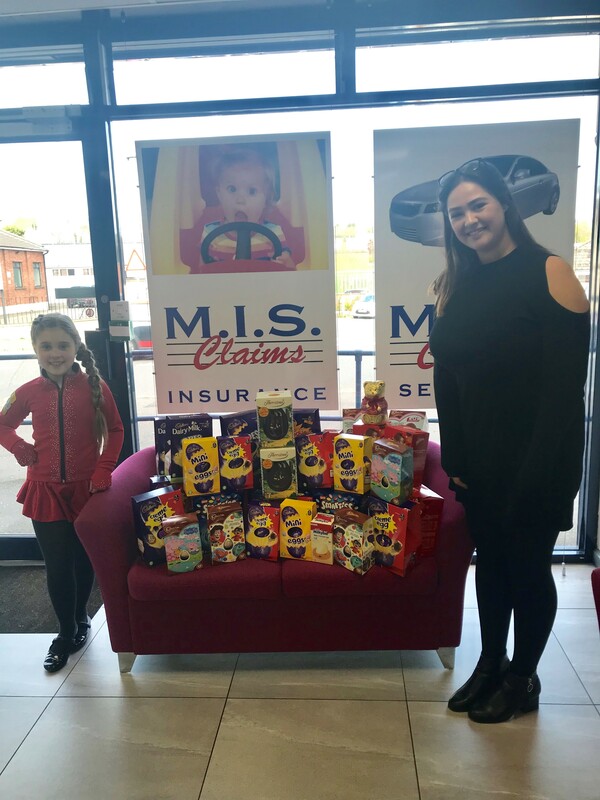 Jasmine is still collecting Easter Eggs from all over Northern Ireland to donate to the Children on 17th April. There is still time to help her out if you can. 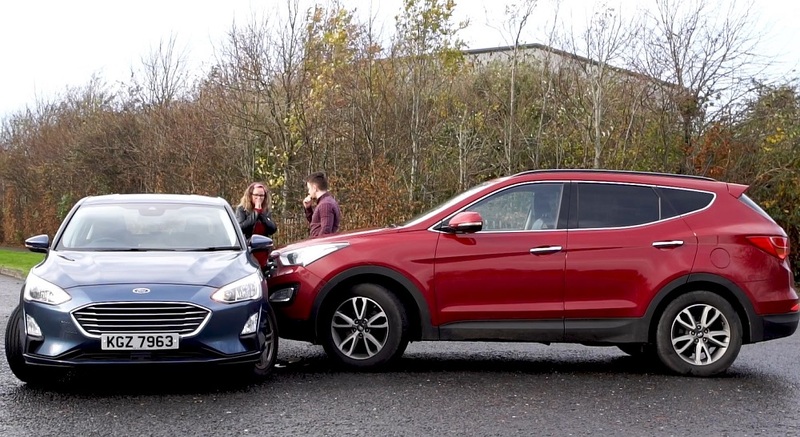 Well done Jasmine, we are all rooting for you!